Here's all about Salesgasm and the company's upcoming sales & marketing events. Read on! Salesgasm is a professional sales and marketing training facilitation company. Its mission is to make sure that the world has better and more efficient sales and marketing professionals and no company has to close down because it was not able to market and sell its products/services. Many of the finest sales and marketing professionals from across the globe are a part of the Salesgasm family. There are 2 ways Salesgasm provides education to sales and marketing professionals across the globe i.e. using the Salesgasm app which is a free Sales and Marketing training app on the play as well as the app store for organizations and individuals. The primary objective of the app is to provide free sales and marketing training to anyone from anywhere. It also organizes world class conferences and expos across the globe focused on Sales and Marketing attracting the finest professionals and bringing them together under one roof to get educated, network and generate business. After organizing world class events in Singapore, Hong Kong, Sydney and New Delhi, Salesgasm is all set to host its Intrigue Series of events in NYC, SFO, Singapore, Hong Kong, Sydney, London, LA and Dubai in 2017. These events are focused on marketing and sales training to professionals aiming to have Marketing heads, CMOs, CEOs, Publishing heads, Founders and other decision makers of top notch MNCs, SMEs and Startups from the US under one roof. Some of the world’s leading brands have registered for the past events like Yahoo, Google, Uber, Microsoft, Sony, Toyota, Tedx, Pay Pal, and PwC with a comprehensive list to add to this. 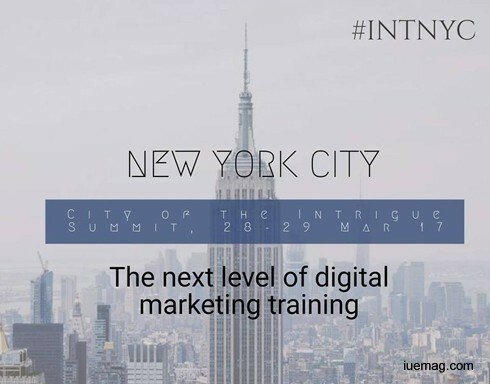 The mission of the upcoming NYC event on 28th & 29th March is to make a difference in the lives of digital marketers by creating an intriguing yet fun platform to learn, make friends, help and "discover new business" and create a free yet high quality event to enable amazing marketing talent from across the globe to meet under one roof.